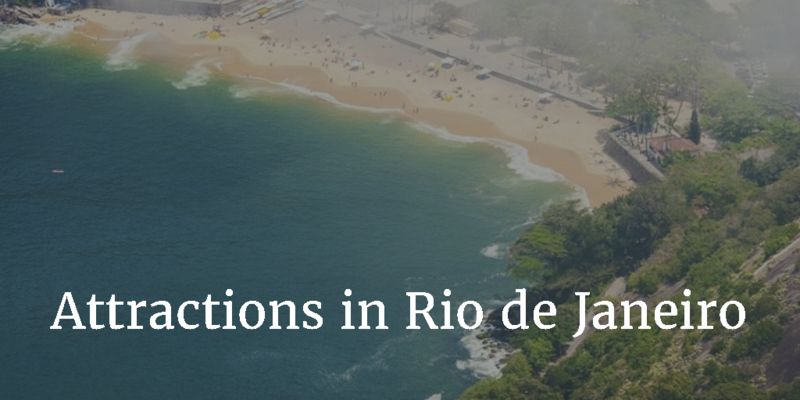 The best things to do in Rio de Janeiro including popular events, festivals, attractions and tours. 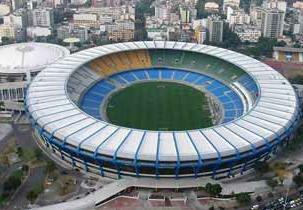 There are many top attractions in the colorful and vibrant city of Rio de Janeiro. You probably have heard about the beaches with miles of golden sands, carnival, majestic sugarloaf mountain, gardens, christ statue and football games. The famous SugarLoaf Mountain is one of the top rated tourist attractions in Brazil. 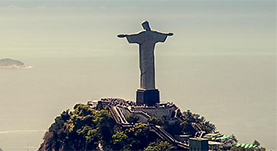 Read more about the Christ statue in Rio. Cobacabana is the most famous beach in the World. Carnival avenue with stands for 62 000 spectators. Here is the big parade during carnival and it is possible to view when different Samba schools are rehearsing. Sambódromo, Rua Marques de Sapucaia, Centro. Rios governor’s palace from 1743, home to the Portuguese royal family, 1808-1889. Cultural center, shop and restaurant. Tue-Sun 12-18.30. Praça XV de Novembro 48, Centro. Brazilian football culture main sanctuary. There is also a small museum with trophies, photographs, etc. The stadium is open for supper at 17, sat in at 15. Rua Professor Eurico Ribeiro, gate No 18. Botanical Gardens, which originates from the 1800s. It was the favourite church of the emperor family and the church also have a museum. 14 000 works of art, among others, Portinari, Di Cavalcanti, Picasso and Rodin. Shop and café. Subway to Cinelândia. Tue-Fri 10-18, Sat-Sun at 14-18. Of Rio Branco 199, Centro.Museu de Arte Moderna (MAM). Tue-Fri 12-18, Sat-Sun at 12-19. Of Infante D. Henrique, Parque do Flamengo. Tue-Fri 10-17.30, Sat-Sun at 14-18. Praça Marechal Ancora, Centro. Museum of Brazil’s indigenous history. Crafts store and café. Tue-Fri 10-17.30, Sat-Sun at 13-17. A museum dedicated to the samba singer Carmen Miranda popular in 1940s and 1950s. If you like aeroplanes then it is free entrence to the airmuseum at Museu Aeroespacial. Ipanema’s Diamond Row dedicated to gemstones.